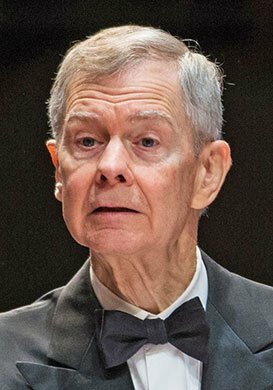 How BMV has evolved was also in evidence Saturday, with two commissioned premieres (by John Harbison and Eitan Steinberg), two other works commissioned by BMV from major composers over the last decade or so, and one piece from its first season. The variety of style and substance among these pieces bespeaks the catholicity of Pittman’s taste that has kept BMV going. A prior commission, Gunther Schuller’s Four Vignettes (2007) opened the program. A suite of miniatures that moved from the wispily ethereal to the frenzied (the second movement, “Capriccio,” seemed as if the music of the first movement, “Atmospherics,” had stuck its finger in an electrical outlet), to dreamy suspension (with excellent use of silence) to a concluding scherzo of Mendelssohnian fleetness. One notable feature is the use of several keyboard instruments (Aaron Likness securely moving from piano to celesta to Fender Rhodes piano, an instrument beloved by jazz greats Herbie Hancock and Chick Corea). Likness and fellow players Bayla Keyes, violin, Jan Müller-Szeraws, cello, Sarah Brady, flute, William Kirkley, clarinet, and Robert Schulz, percussion, under Pittman’s baton, deftly teased out the many nuances, though we would have appreciated a bit more energy in the finale. There followed a European avant-garde gem from 1959 for the same ensemble as the Schuller, Niccolò Castiglione’s Tropi, which featured on the first BMV season a decade later (Pittman had gotten to know Castiglione when they were at Eastman and Buffalo, respectively). This Darmstadt-influenced soundscape is definitely of its era, but, as in the work of the composer’s friend Berio, it expresses itself in flowingly lyrical ways. At its inception, the piece seems almost as if it would resolve into a sonata form, between a main theme of scurrying notes punctuated by poignant silences, and a second more lyrical idea; then it “develops” into an exploration of individual pitches—one example is for clarinet, answered by the other instruments in varied articulations, and closes with a lightly touched reference to the opening material. Again, the performances were precise and well shaded. The first half closed with one of the two premieres, John Harbison’s If, a monodrama for soprano (Lucy Fitz Gibbon) and ensemble (as before, adding Mark Burger, viola and Carolyn Davis Fryer, contrabass), setting not Rudyard Kipling’s poem, but Friedrich Hölderlin’s “If from a distance” (Harbison’s translation of “Wenn aus der Ferne”). 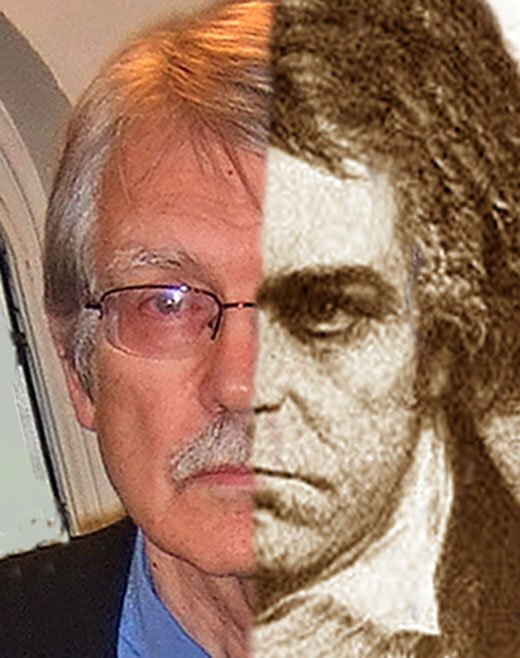 Harbison has been fascinated by the early Romantic poet (1770-1843) since the 1970s, and this particular poem is unique in the poet’s output, and rare for nearly any male writer of the era, in its use of a woman’s point of view, looking back on a failed relationship with mixed anguish and detachment (the subject matter was autobiographical). Harbison’s vocal line is more dramatic than lyrical—this isn’t Shepherd on the Rock; a listener is unlikely to leave a performance humming the tune—and Fitz Gibbon conveyed it with admirable flair, moving from woe to bitterness to irony with perfect conviction and plausibility. Harbison’s translation of the poem (he said it took three tries to get it to his satisfaction) parses well, though some word choices—“girlfriend,” for example—were too colloquial for the general level of the poem’s diction. The instrumental setting was, in Harbison’s customary manner, formally lucid, balanced, evocative of earlier music without imitating it. It has a refrain that emerges between stanzas, and the climax in the penultimate stanza is, both in the vocal and instrumental parts, completely satisfying. The composer seemed pleased with the performance, and we have no reason to quibble with that assessment. If was a co-commission by BMV, the Chamber Music Society of Lincoln Center, and the Santa Fe Chamber Music Festival. The second half opened with the second premiere, the Bagatella Molto Viva by Israeli composer Eitan Steinberg. A recurring motif of this season, Pittman said, is to be a series of bagatelles written to commemorate BMV’s anniversary, of which Steinberg’s is, obviously, the first (BMV’s website promises upcoming bagatelles by Bernard Hoffer, Kathryn Salfelder, Joseph Schwantner, Andy Vores, Yehudi Wyner and Ellen Taafe Zwilich). Steinberg’s entry, more toward the neo-tonal end of the stylistic spectrum, superposes a fluidly developing line over a steady pulse, adding textural and dynamic intensity to a satisfying climax and delicate exit. The sextet from the opening works gave it a charming and shapely reading. Judith Weir, currently Master of the Queen’s Music(k), is, making no bones about it, one of our favorite living composers, less flashy but more substantive than many of her current compatriots. She is widely regarded as a Scottish composer, but she was born and raised in England and has made most of her career there; her accent, though, both in her voice and her music, is unmistakably Scots. Her suite Blue-Green Hill, composed for BMV in 2013, has turned out to be one of her more popular recent works, and its three movements display some classic Weir tropes, notably the turns of phrase in the outer movements invoking Scottish fiddles and pipers. The middle movement (there are no tempo descriptions other than metronome markings, progressing from slow to moderate to moderately fast), though, pits a boogie-woogie piano line (Likness grooving nicely) against often-lilting passages for the other instruments (violin, cello, flute, clarinet) in a relaxed exploration of thirds. Each movement builds layers from fairly simple opening materials and leaves the listener wanting more. The often-approachable surfaces of Weir’s music invite repeated hearings, which generally reveal considerable emotional subtlety; this piece seems to fit that pattern. It almost goes without saying that the performances were superb, though in the middle movement piano tended to cover the rest of the instruments. In a welcome programming touch, Pittman closed the concert with a repeat performance of the Harbison, in which we were able to focus more on its formal values. The handout wittily described this iteration as the “second performance,” meaning, we suppose, that the co-commissioners can’t do better than place third.